07. Yes, We're Alive, Shouldn't We? GardenBox started off in late 1998. Since then they've been creating and recording their music in their own studio, pursuing an orbit of constant development. With a background of a few individual productions on limited edition, they proceeded with their first official release in 2003 (PN22CD, "GardenBox", Poeta Negra Records). Now, having just released "The Last Resort" (VEIN002, Venerate Industries) their second official release, the band is gathering momentum for a series of live shows. At the same time, and following a brake of two weeks (sic), they have started working on new material. 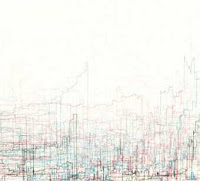 GardenBox's music aims at illustrating the sound of contemporary cityscapes. Through an alternation of electronic and electric sound as the leading vehicle, they attempt to outline the conditions of urban life. With their resonating allusions to current trends of electronica and post rock, they create a sound idiom that is individual, prolific and tence. The compositions are vigorously intreaguing, featuring drastic transitions and peaks. Their structure is at times dominated by layers of electronic sounds and beats, at others by the circular unfolding of melodic passages on guitar. Links updated with correct password!